I don't know about you....but for me......sometimes all the FANCY LIGHTS and all the ON AND OFF SWITCHES make ghost hunting a nightmare!!! (How did you like that play on words.HAHA) If you can figure out all the buttons they are awesome to have but sometimes you just want something simple. Turn it on and leave it...Right? Well, guess what??? I am going to tell you about two tools you can use that DO NOT have switches on them and the BEST PART.....NO BATTERIES!!! YEP!!! You read that right!!!! And are they reliable? They have been used for centuries and today are still considered to be very accurate and a MUST in most ghost hunters equipment bags. What are they you ask??? Welllllll.................. A pair of Dowsing Rods and a Pendulum. I work as a HR Manager in my day job for a utility company and our guys use a set of Dowsing Rods to locate water. No.....silly they are not looking for ghosts! Dowsing Rods have been used for YEARS to locate water sources. Even with all the modern day equipment the BEST way to find water for us is to use dowsing rods. They are natural and accurate in locating water. No one really knows HOW they work....just that they do!!!! 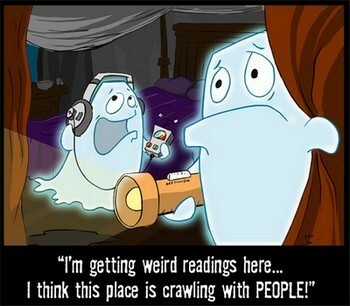 The same may be true for ghost, although they are primarily used for communication. 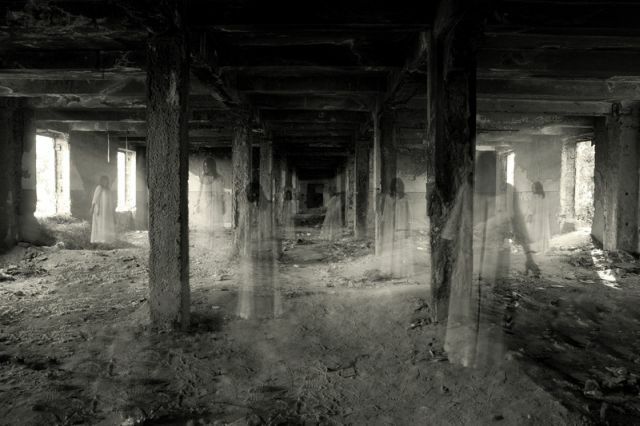 Instead of pointing to where a ghost may be, dowsing rods are used to get simple "yes" or "no" answers from a spirit. Dowsing rods are "L" shaped and usually made of copper. The idea is to hold the rods loosely in your hand allowing them to move freely. Holding the shorter end with your fingers wrapped around start asking your questions and using directives like cross for "yes" or uncross for "no". Now, dowsing rods have even been used in police investigations to locate bodies or even a weapon of some sort. You can ask them to "point in the direction" to find a location or even a BODY!!!!!!!!! The same is true for pendulums. I know people that never go ANYWHERE without their pendulum. I being one of those people SSSHHHH don't tell anyone.......but I carry one in my purse. Spirits can use anything to talk with us and there just might be something scientific about the movement they cause in the pendulum. Most are made from some rock or crystal that may have a special conductivity, which spirits can manipulate. 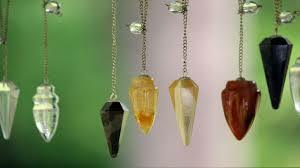 The pendulums or stones are placed on the end of a small chain. Try concentrating on a need to talk or clearing of the mind. Begin by asking questions and telling the spirit to show you what the "yes" and "no" responses will look like. Maybe for "yes" it will go in a circle and for "no" it will glide back and forth more in a straight line. I myself LOVE BOTH OF THESE TOOLS and have had GREAT success with them. It may take you a little while to get the feel of it....but just concentrate and relax and your answers will come. Now, here's the best part! You can get a small set of dowsing rods for around $10 and more decorative ones up to $50. 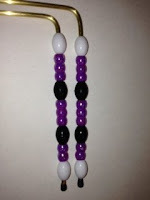 And pendulums, you can get this little jewel starting at under $5!!!! You can pick these up just about anywhere but Amazon and Ebay along with your ghost hunter stores make owning these simple but VERY USEFUL tools a breeze! Now, I'm not trying to get a plug here.....but here if it helps so be it......I make custom dowsing rods and sell them on Amazon only. They sell for $19.99 and come with communication letters. Here is a link if you would like to check them out. There are several styles and colors to chose from.